When we last saw the Thunderbolts, they were a hit squad under the command of the man who should never have been given such power in the first place: Norman Osborn. But now, the tide has finally shifted back to actual heroics, as demonstrated in the opening pages of Thunderbolts: Cage, where Osborn is marched through the Raft Prison in his inmate jumpsuit. As a reader who kept struggling with the obvious question of both “Dark Reign” and “Siege” (How stupid are the people of the Marvel Universe? ), it’s nice to finally have him gone. In his place is a man who's known both time in prison and time with the Avengers. It’s the man whose appearance in the solicitation for #144 got me to pick the title up again in the first place. 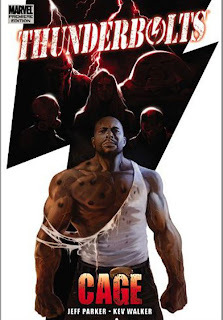 In perhaps the best move in comics in 2010, Luke Cage, perhaps the greatest story of redemption in the Marvel Universe, was put in charge of the Thunderbolts. With the new leader comes a shift back to the old Thunderbolts redemptive model, albeit without new names and costumes. 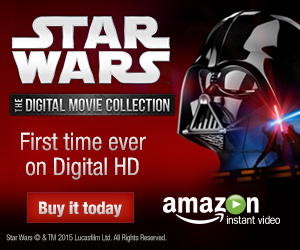 This isn’t a big loss, especially since the program is under the auspices of S.H.I.E.L.D. and other government authorities so there’s no point in hiding who they used to be. Most of the old Thunderbolts are back; Fixer and Mach-V (formerly Mach-I) are the tech team, Songbird is a guard/leader, and Moonstone is one of the prisoners brought in to be redeemed. I can’t overemphasize how happy I am to see Mach-V and Songbird in a book on a consistent basis; they were two of the breakout starts of the old series as the first Thunderbolts to really embrace redemption. I’d like to see Atlas appear in the series at some point, although he was involved with the Defenders around the time of this trade’s publication. The new recruits, chosen carefully from the rather large ranks of the Raft’s inmates, are also good additions to the team. First, the Ghost returns; he was one of the best characters in the team’s previous incarnation, and writer Jeff Parker ramps up his creepiness (a feat I thought impossible). Next up is the Juggernaut, who's been switching sides for years now and is another personal favorite, if only for visual design reasons. The last new member is Crossbones, and thankfully, his questionable recruitment is also challenged by Cage for the obvious reason: he shot Captain America. (Of course, by this point, Cap was alive once more, a fact that the inmates don’t mind teasing him about.) And then … there’s Man-Thing. He’s technically the team’s transportation thanks to his connection to the Nexus of All Realities, but his role grows and grows throughout their adventures. I’ve always wanted to see this swamp monster get some good exposure, and Thunderbolts is doing just that. One of the main themes of this title is making sure that the villains on furlough don’t escape. Unlike Warren Ellis’ run, in which the Thunderbolts became the Suicide Squad, there is actual leadership to make sure the members don’t go completely out of control. Of course, things go wrong on the missions, but Cage and Songbird (and often Mach-V, who eventually becomes a field agent) are there to keep them in line. One story sees them mopping up after “Siege”; another sees them take on some creepy creatures which will later have an effect on one team member’s life. The end of that second story is a crossover with Avengers Academy called “Scared Straight,” and while the other title’s issues aren’t present, there’s enough context to see why they’re visiting the Cage. In that title, a faculty of Avengers is trying to dissuade potential supervillains from turning to crime, and neither I nor the staff of the Raft are entirely sure that this was the best way to scare them straight. Like all good Thunderbolts teams, this one is functionally dysfunctional: they can get the job done, but they’ll argue the entire way. Moonstone, the most arrogant member of the old team, gets knocked down a peg as a prisoner; you can tell that Songbird is having just a bit of fun with the situation. The Juggernaut is deceptively simple, and his struggle to find a direction is reminiscent of what Mach-I went through in the old series. Crossbones, on the other hand, actually is just as evil and horrible as he appears on the surface, but this was one of the reasons why he was selected. As always, the Ghost is bizarre, and he becomes even more so when we get to see his face. Kev Walker’s artwork is … weird, albeit a good kind of weird. It’s an extremely stylized type of artwork that at times seems out of proportion. Essentially, if a character is big, then he’s huge; this is especially true with Juggernaut, and to a lesser extend with Crossbones and Cage. Mark-V also has some weird shapes and is surprisingly bulky for a man who is essentially wearing a fighter jet. Once you read a story or two, however, you get used to it, and every character looks more or less the way they’re supposed to … except Songbird. For some reason, Songbird has a vertical shock of hair that, in my opinion, looks really stupid, especially with the streak her hair has always had. I’m not the only person to complain about this, and I’ve read ahead and her hair does grow out, so it’s only a temporary issue. Walker does make up for it with the great detail of a cloud of flies always surrounding Ghost, reminding us that as creepy as he looks and acts, his smell is even worse. This trade comes courtesy of Twilite Zone Comics in Glen Burnie, MD.